Maureen MacMahon is a Physiotherapist with more than 20 years of experience who specializes in the Neurological rehabilitation. 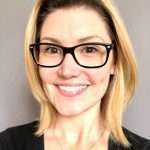 She received a Bachelor of Science in Physical Therapy at McGill University and a Graduate Certificate in Rehabilitation Sciences at the University of British Columbia. She has completed numerous post-graduate courses including Vestibular Rehabilitation as well as advanced training in the Bobath Concept and Neuro-Environmental Rehabilitation (NER21). Maureen has extensive experience working in a variety of settings in Ontario, Montreal and in the UK. Her experience working in large multi-disciplinary teams has allowed her to develop an extensive network of professionals working in acute care, in-patient rehabilitation and community settings. Maureen’s passion for continuously improving her clinical skills has led to her involvement in teaching both at the college and university levels (McGill University and Université de Montréal) as well as working with researchers at the University of Montréal and the Montreal Institut de réadaptation Gingras-Lindsay. Maureen also has a strong background in athletics as a player on the Canadian rugby team for over 10 years and as a coach at various levels in the community.